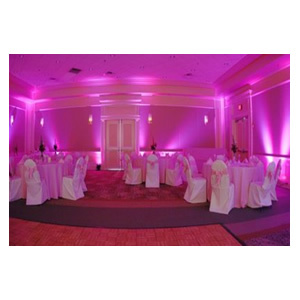 L.E.D Uplighting | California DJ's Inc.
Our New Wireless LED Up-Lights can illuminate Walls, Pillars, or Tables (from underneath), such as your cake table, head table, or even your guest tables! They are also great for lighting outdoor areas, trees, homes, garden areas and more! They will last up to 16 hours on a single charge. No cables, no mess, just beautiful lighting in any color you can imagine! Just choose your color theme, and let us do the rest! 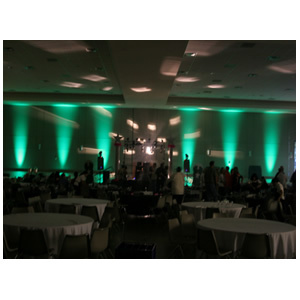 Most events such as weddings or parties will require a minimum of 8 Up-Lights to be effective. Larger venues may require 12-16 or more. 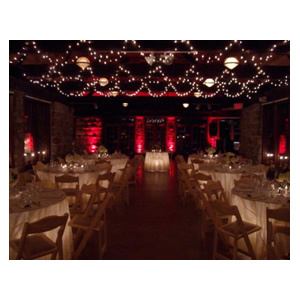 These lights can set the perfect ambiance or atmosphere for your event. Colors can be programmed to coordinate with your existing décor or theme. They can be used independent of each other, or linked together wirelessly to create endless lighting possibilities! They can also be programmed to flash, strobe, fade in multiple colors to create more of a dance-club type atmosphere. L.E.D. 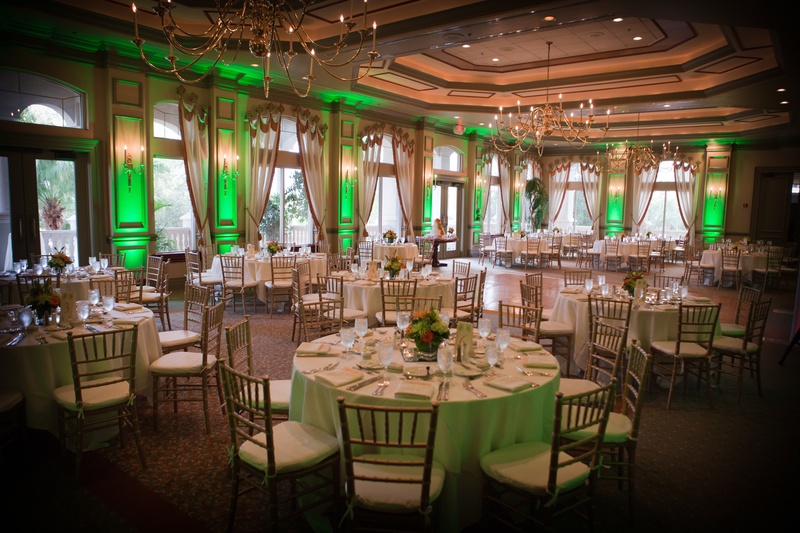 lights are a VERY AFFORDABLE & EFFECTIVE way to add an impressive impact to your event. More than 80% of our clients have chosen L.E.D. 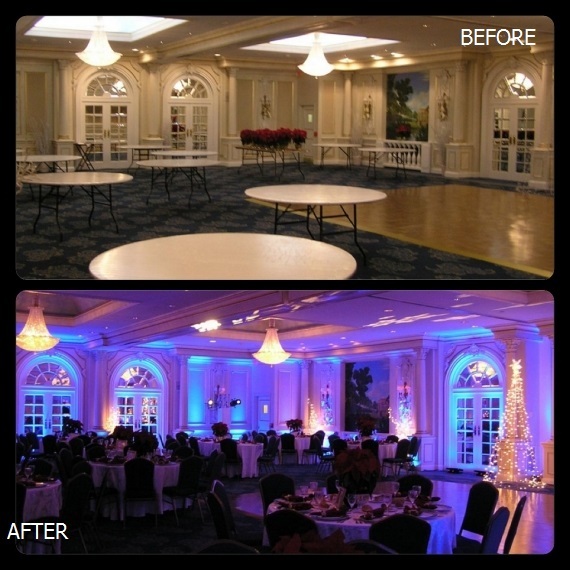 Up-lighting for their indoor, or evening & night-time events. We have packages that include set-up and break-down of these lights at unbeatable prices! All of our Wedding packages that are priced $1695 or more (Diamond Package or Higher), already include Up-Lighting. 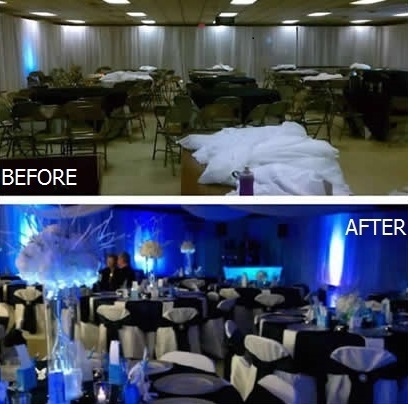 You can also add it to smaller packages, or rent just the lights independently, even if you don’t need DJ services! Please call for current pricing! Discounts on lighting packages that exceed 10 uplights!